emmerliejay - UK Travel and Lifestyle Blog: Blogging: Where do I fit? My blog is all over the place haha :) If I had to put it in one category I just couldn't do it ! I totally agree with you on this! First world problems I know, but what even is 'lifestye' if it doesn't include stuff like personal style and beauty? I think lifestyle is just an umbrella category really, for those who don't only blog about a particular niche. They're my favourites to read anyway! I think that's definitely how it should be! Blogs are so much more enjoyable to read when it's obvious that it's personal to them and they're actually personal about things! I suppose mine would fit into lifestyle, but I always think that sounds like you're telling people how to live! Is that weird? Same here! Mine is a mix of beauty, fashion, recipes and some life posts. I class it as lifestyle as really there is no other category! There should be a hashtag for 'a bit of everything blogs'. They're the best blogs! Yeah I totally have the same thing. I tend to gravitate towards calling mine a beauty blog because that's most of the content and I feel as though I don't fit in with other fashion bloggers given that I don't take cool pictures of me posing in different settings lol. But I write about anything I love: beauty, fashion, films, books, tv, places to visit and the more I blog the less I like categorising myself! I love this post Emily. 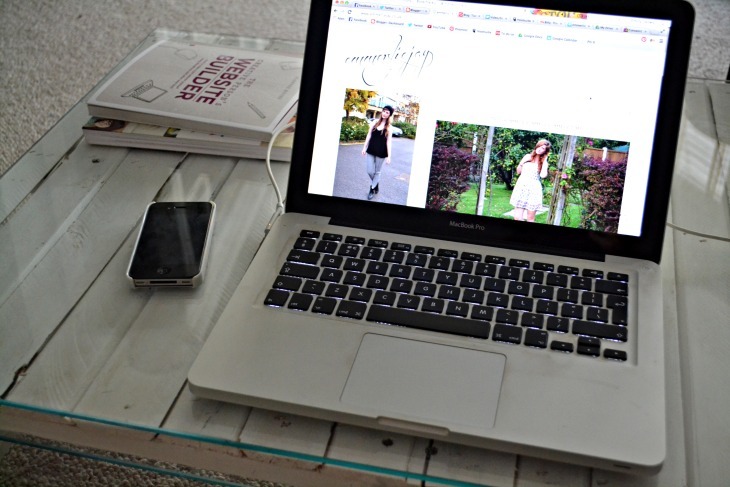 When I first started blogging I wrote about fashion and beauty and the rare lifestyle post. After a while, I realised that although I am obsessed with skincare and makeup, I buy clothes way more frequently so I didn't have as many beauty posts. Plus the fact there were many beauty bloggers who were just far more experiences with skincare and makeup than me. Not to say that I am a fashion expert either...by any means! I just blog about what I like to wear and that's really it. I think what is most important is that the blog portrays your own voice and personal opinion whether its clothes, makeup or lifestyle posts. I think we all love to read honest posts as though it is almost like your friend telling you her opinion. I think it's important to blog about things that interest you to keep your own attention and I personally love reading a variety of things and seeing personality. I really DON'T feel as though I fit into any of those most popular categories. I write my blog as an extension of me, really, so it covers all of the things which I like. Yes, that's fashion (by which I mean what clothes I LIKE and wear, ootd and suchlike, not necessarily led by fashion trends), but it's also dressmaking, as I love that. I write about recipes, book reviews, things I've made or done, places I've been and random thoughts I've had, I guess. I have always seen it as my own little space, so I don't think it's important for me to try and fit into any particular category. I just discovered your blog tonight and I'm having such a good time reading through all your posts - I'd say it doesn't matter about not having one specific category that you fit into. I've labelled myself as fashion, beauty & lifestyle simply because I enjoy posting all of those things. Although mostly focused on fashion and personal style, I don't want to limit myself to not being able to post anything else, although sometimes I do worry that my content jumps around too much.